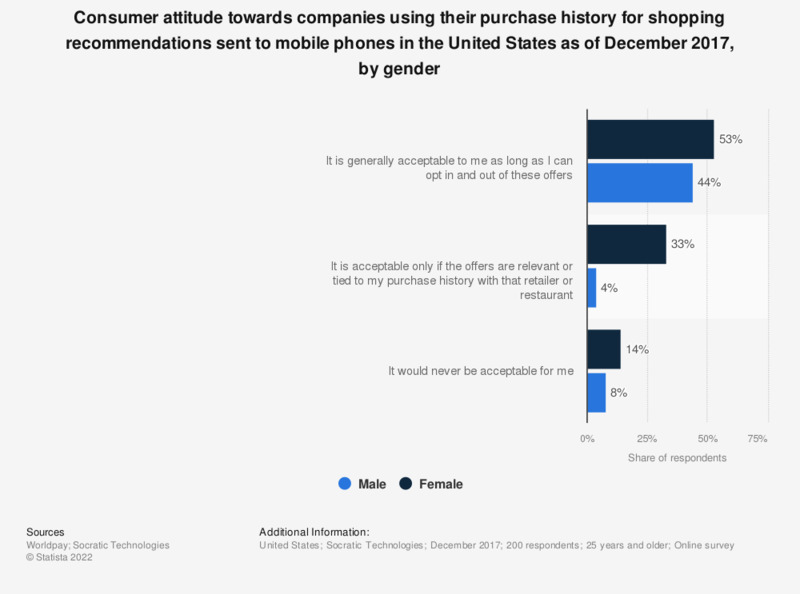 This statistic provides information on consumer attitude towards companies using their purchase history for shopping recommendations sent to mobile phones in the United States as of December 2017, broken down by gender. During the survey, 53 percent of female respondents said such behavior would be acceptable to them as long as they could opt out at any time. What information are you most likely to respond to in a retail-related mobile ad? In general, how do you feel about mobile ads?